Dong Energy has been awarded the contract for the world’s largest off-shore wind farm. The wind farm is to be built 55 miles from the coast of Hornsea and will produce around 1,386 megawatts, enough to power around 1.3 million homes. Hornsea Project Two is due to be completed by 2022, and production of the turbines will be performed at the Siemens plant in Hull. The project is expected to produce 2,000 jobs and up to 300 additional jobs on completion. This is a breakthrough moment for offshore wind in the UK and a massive step forward for the industry. Not only will Hornsea Project Two provide low cost, clean energy to the UK, it will also deliver high quality jobs and another huge boost to the UK supply chain. 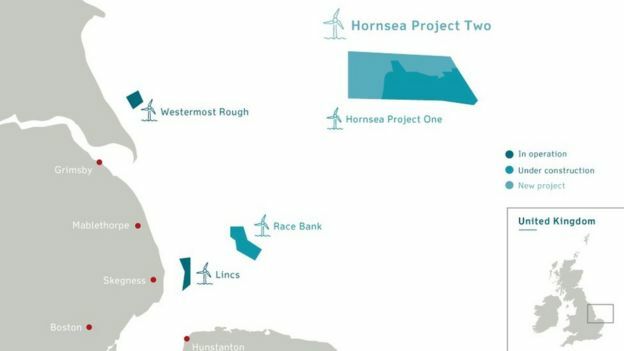 Dong Energy already has plans for a Hornsea Project Three, which underlines the huge potential of the North Sea to be a clean energy provider for the country.